Veneers are a widely used cosmetic porcelain procedure in which our Grosse Pointe veneers dentists place a covering over the outside (visible area) of the tooth. Veneers are usually only applied to teeth that will be visible when a patient is talking or smiling. The use of porcelain veneers becomes a viable option if your teeth are chipped, stained or gapped, or if the enamel on your teeth are badly worn or if your teeth not properly aligned? Our Grosse Pointe veneers dentist can provide excellent cosmetic dentistry services and smile enhancement through the application of dental veneers. 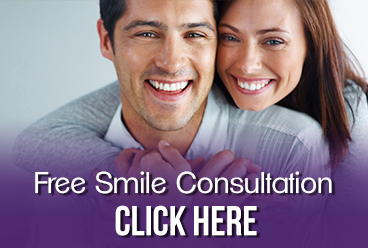 The procedure used by our professional Grosse Pointe dentists can be direct or indirect. The direct technique usually involves placing composite resin on the outside of the tooth using a procedure called bonding. The indirect technique usually involves two appointments since the veneers will be fabricated at a dental laboratory. The procedure starts during an initial appointment, at which time your teeth will be prepared, impressions will be taken and your teeth will be given a temporary covering. It usually takes from two to three weeks for your new veneers to return from the laboratory, at which time the covering is removed and the veneers are bonded to your teeth. These laboratory-fabricated veneers are usually made from porcelain or pressed ceramic, and are very esthetic. Conveniently located on the Northeast side of Metro Grosse Pointe, we provide veneers services to Grosse Pointe, Warren, Roseville, St. Clair Shores and all other nearby areas. Contact our office or call us directly at 313.882.4970.